1) Oscars 2014 announced: ‘12 Years a Slave’ bags best picture- The 86th Annual Academy Oscar Awards 2014 was announced on 2 March 2014 with historical drama "12 Years a Slave" winning best picture. Hi-tech space thriller Gravity won a leading seven awards in the ceremony. Alfonso Cuaron won the Best director award for Gravity. Matthew McConaughey won the best actor award for “Dallas Buyers Club” while Cate Blanchett won the best actress award for “Blue Jasmine”. 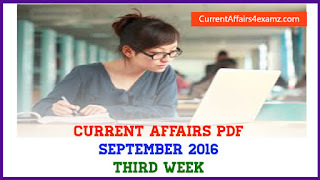 See complete list of winners click here. 2) Date for exchanging pre-2005 currency notes extended to January 1, 2015: “The Reserve Bank of India has extended the date for exchanging the pre-2005 banknotes to January 01, 2015. It has also advised banks to facilitate the exchange of these notes for full value and without causing any inconvenience whatsoever to the public,” a statement by the central bank said. The Reserve Bank has also clarified that people can use these notes freely for any transaction till the new timeline. 3) Srilanka enters finals of Asia Cup 2014: In-form Sri Lanka sailed into the summit clash of the Asia Cup cricket tournament with a resounding 129-run victory over minnows Afghanistan on Monday. 4) Workdays for tribals under MNREGA raised from 100 to 150: Union Government of India on 28 February 2014 raised the number of workdays under MNREGA (Mahatma Gandhi National Rural Employment Guarantee Act 2005) from 100 days to 150 days. This hike in the workdays will benefit 14 lakh families in India and the decision Union Cabinet will come into effect from April 2014. 5) Manmohan Singh arrived in Myanmar for BIMSTEC summit: Prime Minister Manmohan Singh arrived in Myanmar on Monday to attend the Bay of Bengal Initiative for Multi-Sectoral Technical and Economic Cooperation (BIMSTEC) Summit, making a strong pitch for giving a fillip to India's Look East policy and explore ways to enhance connectivity, transport, trade, tourism and other linkages to all the northeastern states. 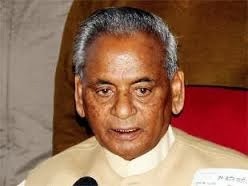 6) Kalyan Singh made BJP vice-president: The former Uttar Pradesh Chief Minister, Kalyan Singh, who rejoined the Bharatiya Janata Party (BJP) on Sunday, was appointed national vice-president. Party president Rajnath Singh announced Mr. Singh’s new appointment on Monday. Mr. Singh was the Chief Minister when the Babri mosque was demolished in 1992. 7) Railways launched SMS alert service for waitlisted passengers: Now you will no longer have to dial 139 or visit the rail website to check the status of your waitlisted ticket as the railways will now send booking status messages to passengers on mobile phones, if the tickets get confirmed before the journey. "For the last 10 days the trial was going on and on Monday we formally launched the SMS alert service for all passengers whose waitlisted tickets get confirmed," minister of state for railways Adhir Ranjan Chowdhury said. 8) Justice KT Thomas quits as head of Lokpal search committee: In a major embarrassment to the Congress government at the Centre, Justice KT Thomas has quit as the head of the Lokpal Committee Search Panel, reports said on Monday. According to reports, Justice Thomas, who was the head of the panel to search nine members of the Lokpal or national anti-corruption ombudsman, has sent his resignation letter to the Prime Minister's Office (PMO) expressing his inability to continue with his job. 9) Arvind Bhat lifts German Open title: Veteran Indian shuttler Arvind Bhat ended a seven-year title drought as he clinched the German Open Grand Prix Gold with a grueling three-game upset triumph over 12th seed Dane Hans-Kristian Vittinghus in the men's singles final Germany. 10) Delhi HC set to get first woman Chief Justice: The Delhi High Court is set to get its first woman Chief Justice with the Supreme Court collegium, headed by Chief Justice of India P Sathasivam, recommending the name of current Andhra Pradesh High Court judge — Justice G Rohini — as the next Chief Justice of the Delhi High Court.